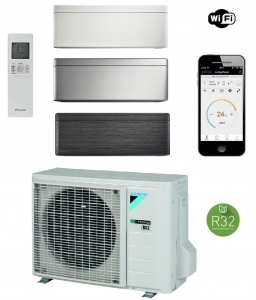 Part of the new Stylish range from Daikin the FTXA50AW wall mounted system is rated at 5.0kw output and is rated A+++ in both heating and cooling mode providing year round energy efficient climate control. Three colour options are avialable for the indoor unit White, Silver and Blackwood. 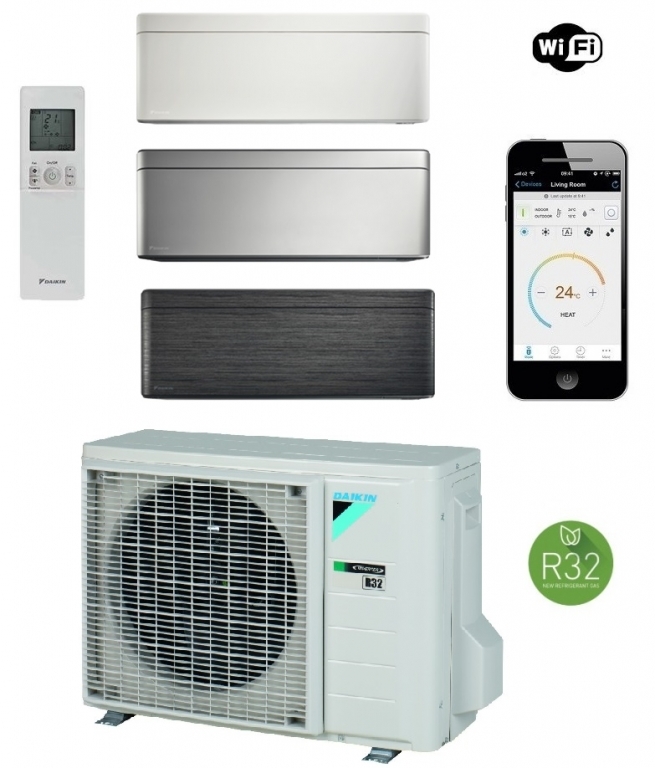 Features include advanced filtration from the indoor unit, built in Wi-Fi and ultra-quiet operation from the patented designed air vanes on the indoor unit. See full details on the Daikin Stylish range in the brochure below.